Facebook is still facing lots of questions about how much “fake news” pops up on its News Feed. This week, the social network says it is making some behind-the-scene changes designed in part to bring what it calls “authentic news” to the top of your feed. This Facebook update should be rolling out to users as we speak. The update will add new signals to the News Feed that will figure out if a post is “authentic”, at least according to Facebook’s algorithms. Some posts that are designed just for spamming the feed or if they openly ask for likes, comments and shares will likely not be considered authentic under the new signals. Also, any post that is getting hidden often by the people who see them will also be labeled as not authentic. The other change considers how much engagement a Facebook post or topic is generating at the moment. For example, if your favorite football team wins the Super Bowl on Sunday, more posts about that game might show up higher on the News Feed from now on since more people will be commenting about it. Facebook claims that these updates won’t cause a massive change in most people’s News Feeds, but some pages will see small increases in engagement and others will see small decreases. It will be interesting to see if Facebook’s signal updates will cut down on the amount of posts designed just to get people to click or comment on them. Do you think there are too many “fake news” or click bait posts in your News Feed? Let us know in the comments, and be sure to update your Facebook app at the link below! 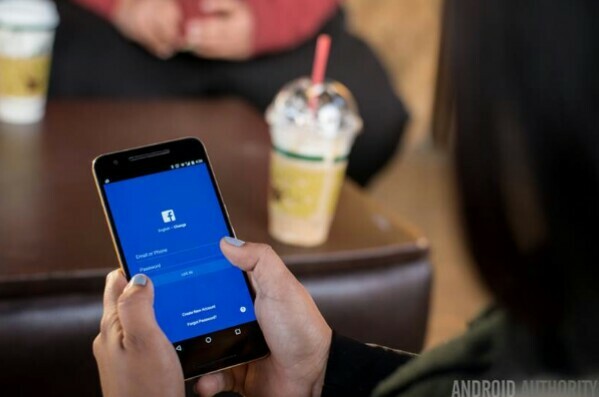 January 26: A number of Android users have been reporting that Facebook is beginning to roll out the previously iOS-exclusive Slideshow feature to Android devices. In case you’re unfamiliar, Slideshow will turn your photos and videos into themed clips, similar to what the Assistant does in Google Photos. December 21: Facebook has brought its new Live Audio feature to its Android app, for those who want to live-stream events without using video. This new feature should be super helpful for those who want to tell a story on Facebook with only their words and the audio around them. December 7: Facebook has quietly added support for the uploading of HD videos in its Android app, which is certainly a welcome change. In addition to HD video upload, Facebook’s Android app has gained picture-in-picture mode for video, the ability to download clips to watch them offline, and specific resolution upload options ranging from 72p up to 360p.